Baldt Inc., Chester, Pa., has published a new 12-page four-color facilities brochure detailing the company's recent reorganization. 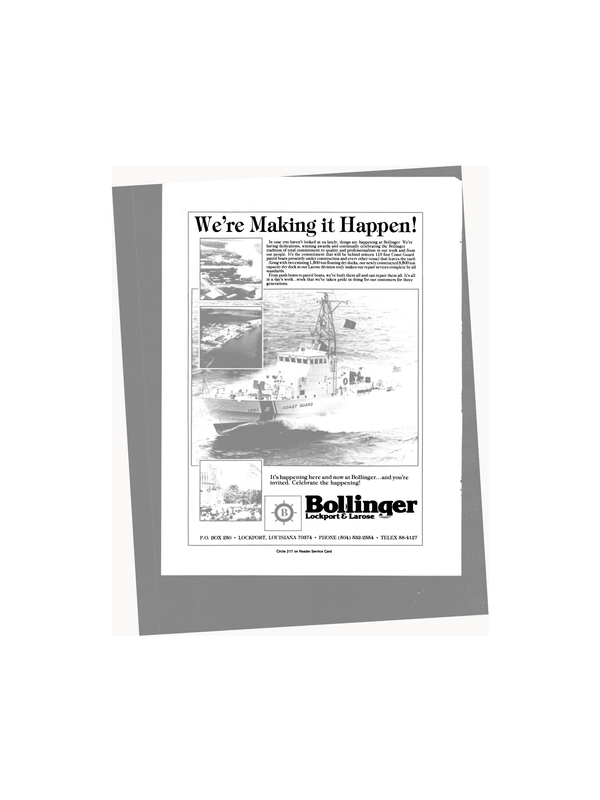 Entitled "Baldt Charts a New Course," this brochure highlights the responsibilities and long-term goals of Baldt's three new operating divisions. These new divisions are marine products, safety products and systems, and distribution. James Palmer, Baldt president, said: "For most of its history, Baldt has manufactured and sold high-quality proprietary marine products to the U.S. shipbuilding industry, and most recently to the offshore drilling industry. This brochure reflects our commitment to these traditional markets. It also emphasizes our goal to aggressively seeks new markets to expand our capabilities." The brochure also details Baldt's product lines, testing capabilities, application data, and product certifications.